Men struggle to find trousers that fit - you may have noticed. But we have the answer. He doesn’t need to know his measurements - and nor do you. 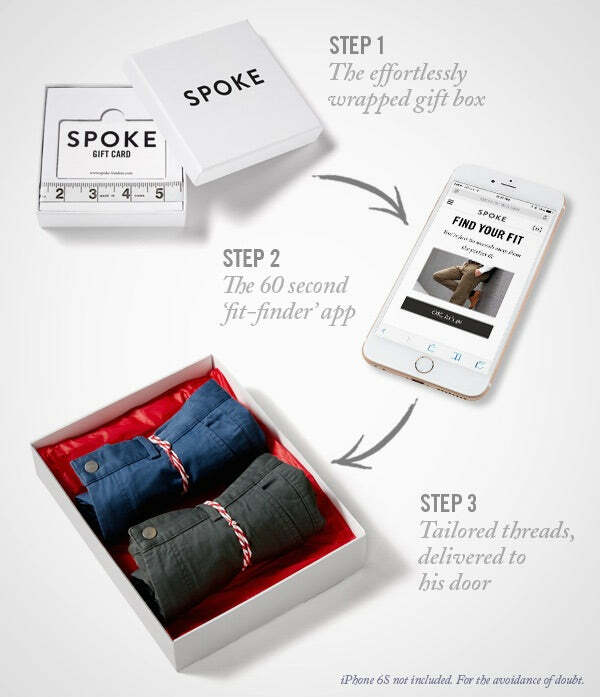 Our gift card will direct him to our 60 second ‘fit finder’ online, and we’ll find his size. It’s a doddle. Delivery & returns are free, and we offer a 100-day, no question, money back guarantee.